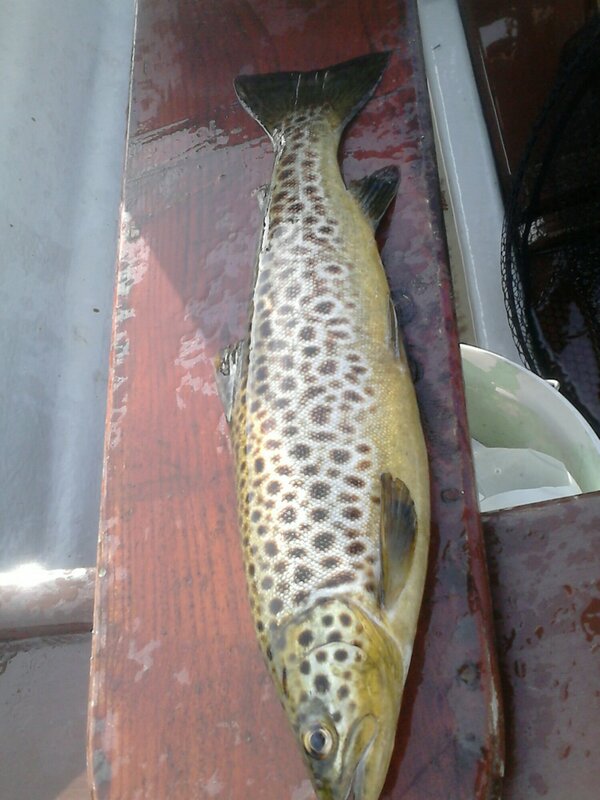 We spent the weekend on Lough Corrib. As usual we stayed in Grasshopper Cottage, Dooros. For us, this is an ideal guesthouse, overlooking the lake, and where the owner knows his fishing on the Lough. It is also just over the road from where our good friend Tom Sullivan lives. 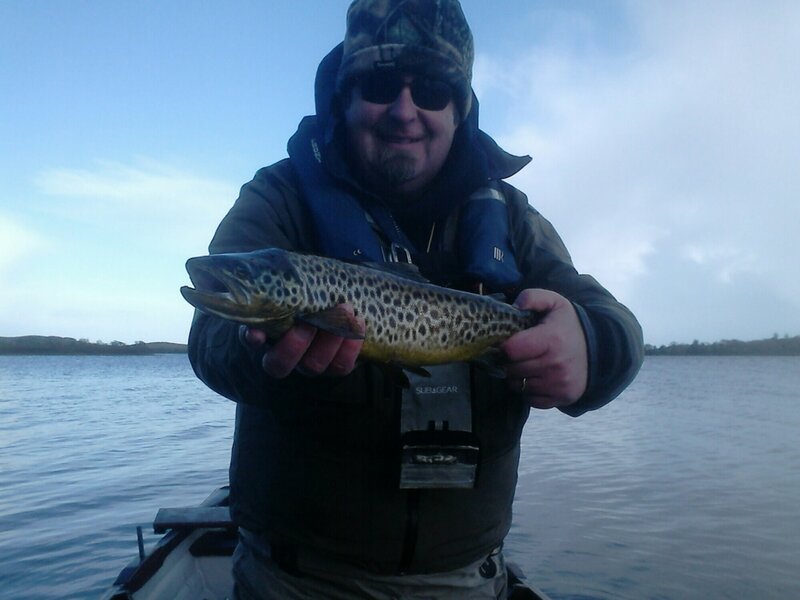 He is always a great help to us when we go to Corrib. 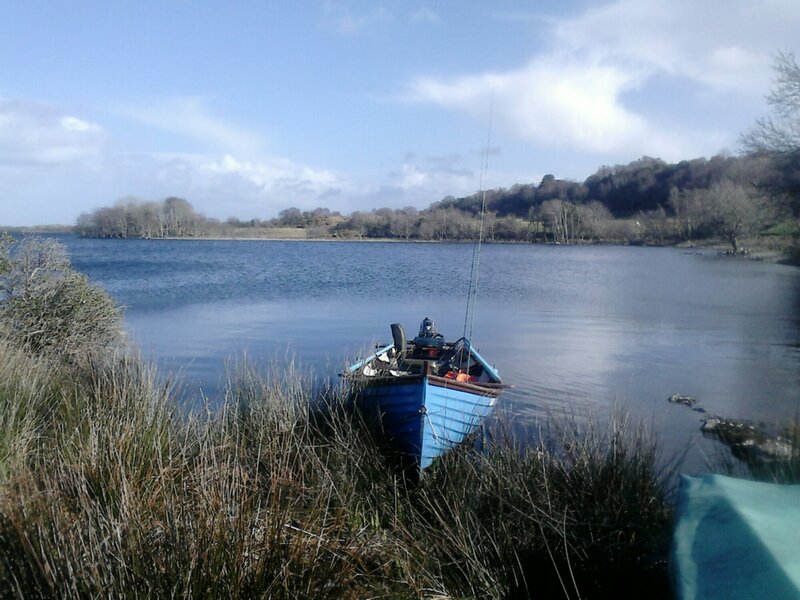 We like fishing around Cornamona, you can generally find a sheltered bay somewhere! The start of the weekend was horrible weatherwise, bitterly cold and strong winds. 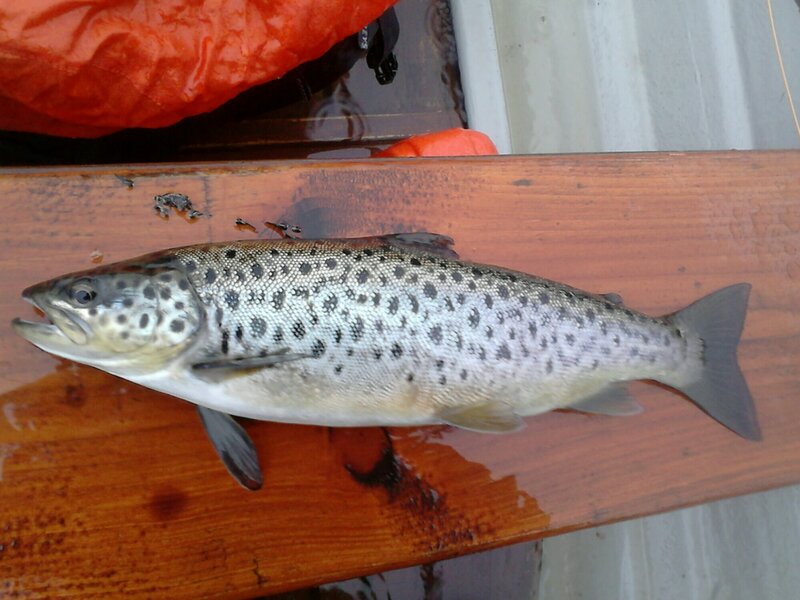 We knew from last year that with little duckfly hatching in such conditions the fish might be feeding on hoglouse. This proved to be the case as is evident from the photo above, and we caught on dabblers and hoglouse patterns. The Sage One 7wt performed great for pulling wets. I think the 6wt would be an ideal “all round” rod. The forecast was much better for Sunday – warmer weather, light winds, and no rain. Time to change tactics. We set up the 7wts with smaller wets (duckfly emergers). The fast intermediate lines were replaced with slow intermediates and hover lines. On the Sage One 5wt it was a full floater and buzzers. I also prepared a leader with 2 CDC dry duckfly patterns in case there was a good rise. 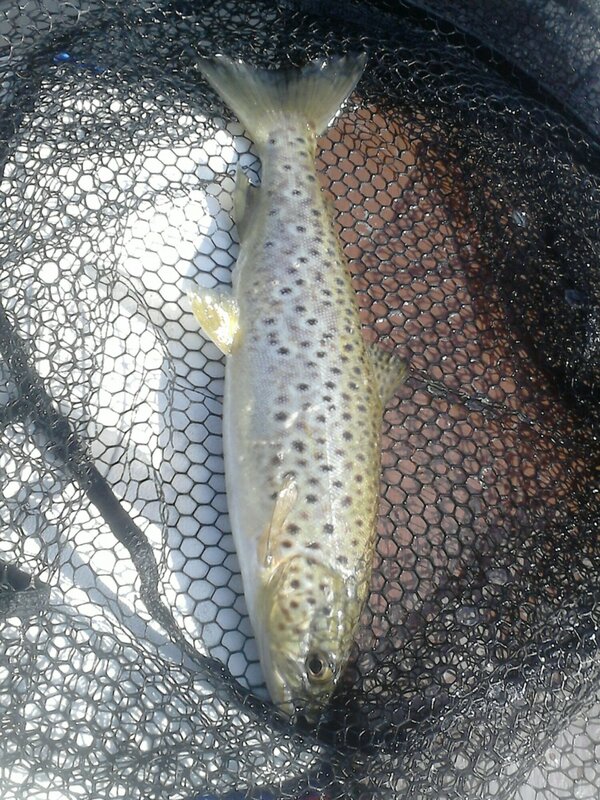 Conditions were very good and a lot of fly hatched. We caught on wets and buzzers. After lunch the lake went calm and we spotted trout rising in one corner of a bay. We switched from buzzers to dries. I hooked one trout on a shuttlecock fly but failed to land it. 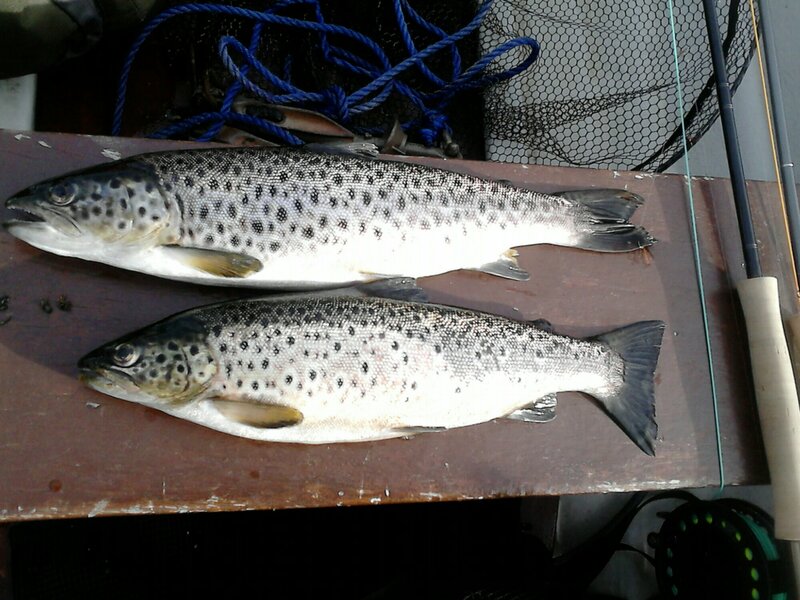 It was a good days fishing where we kept two trout that we had spooned. 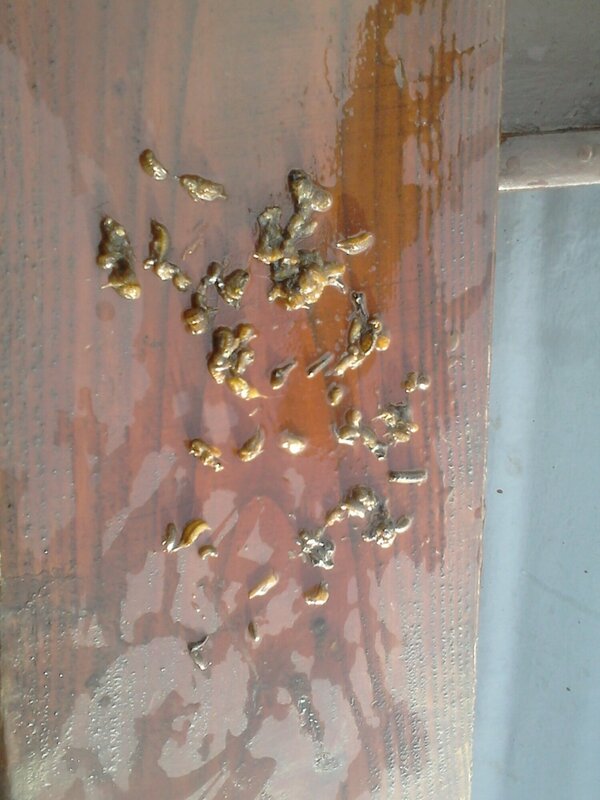 They had been feeding on buzzers rather than hoglouse. We will back again around the same time next year. Hopefully we get a full weekend of good weather.